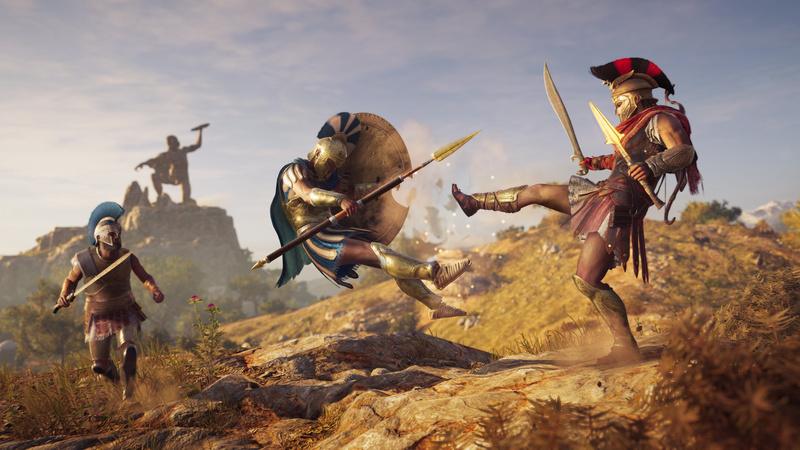 There's an update for Assassin's Creed Odyssey available to download now on PlayStation 4. Patch 1.0.3 weighs in at around 2GB, and promises "quality of life and usability improvement features". Yeah, we're not totally sure what that means, either. The update also "addresses various 'game breaking' issues that could happen in specific conditions". And last but not least, the patch notes mention improvements to general performance and stability. Lovely. As for more specific details on the aforementioned improvements, Ubisoft says that it'll be releasing more information soon. We guess full patch notes take time. Hope it fixes the worst character animation this side of the current Tomb Raider trilogy. 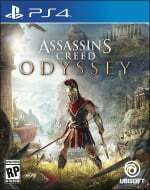 @sham8nix Ubisoft's said that new game plus is coming at some point after launch. Not sure I'll ever have time to play through the game more than once, though. I get massive M A S S I V E FPS drops when I get into fights at forts. It happened twice during my 13 hours playing, so it's pretty rare. Hopefully that's the last time I'll be experiencing that. @Constable_What I had one big fight in a huge enemy fort where the upper bodies of NPCs started clipping into the ground and the frame rate TANKED. We're talking less than a frame a second. I wonder if it's the same bug? I reloaded and it was fine, but I didn't know what the hell was going on. That's once in countless hours, though. Also on Pro. There is a loot box on your ship now for storage which is great. The pre-order loot and U Play Club rewards can't be sold or dismantled so I put them in there. That's the bug I got. I couldn't even pause; I had to run 20 meters away from the fort and it fixed it both times. @Splat I saw that, but didn't think of that. Now I know where all the crap I cant delete out of inventory will go.